The Flair Cub is a sport scale version of the famous Piper Cub. It has been designed in such a way as to be perfect for the newcomer to powered aero modelling and it is widely agreed that this is one of the best models for learning to fly R/C model aircraft. Thousands have been built and flown very successfully. 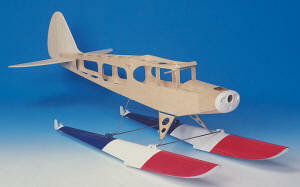 The model is available in various configurations; foam wings/ built up. Finishing a model is a personal choice but you can see from our photos that both military and civil are attractive. The Cub can also be flown off floats adding yet another facet to its appeal.